King de Coquerie is a charismatic stallion whose presence and prowess set him apart. 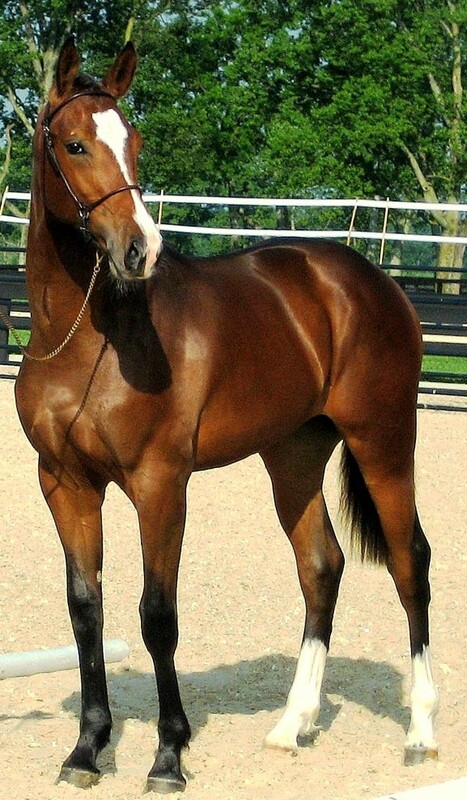 At each pivotal point, he has attracted the eye of top horseman: as a young colt purchased by top European horseman Michael Spaas at the elite Zangersheide Quality Auction, as a young stallion during the demanding Cycle Classique in France or later when he was discovered in Europe and imported as a top hunter stallion for the United States. 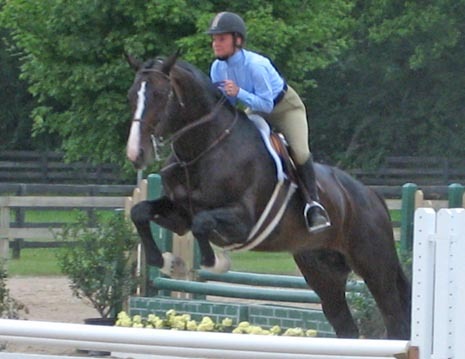 His consistently picture perfect “hunter jump,” coupled with his easy going demeanor and classic exterior, successfully propelled him around A-Circuit courses. 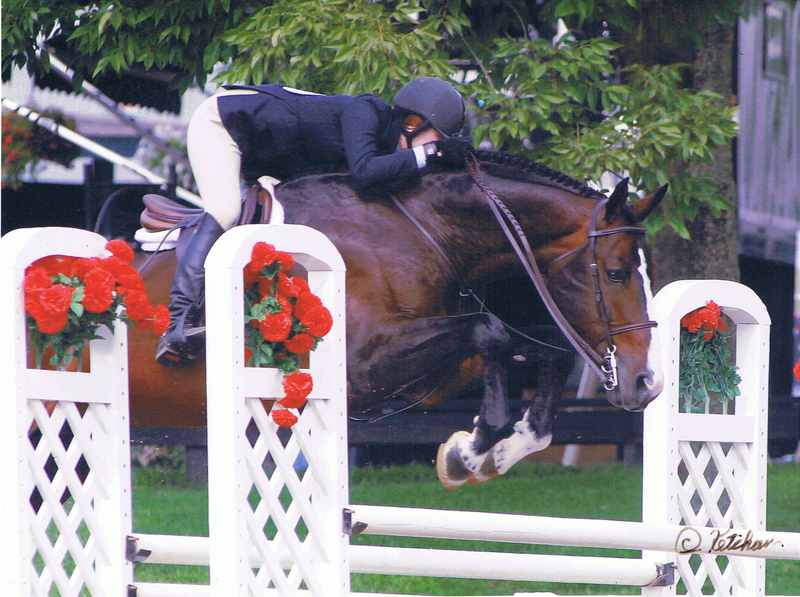 Lightly shown and wearing many hats as a hunter, an equitation horse, a pro mount and as a schoolmaster for his amateur owner, King modestly compiled an impressive show record in just a few short years. King de Coquerie is a reflection of his versatile and talented sire and grand-sire. His bloodlines unite the top jumping blood that Germany and France has to offer in a single pedigree. 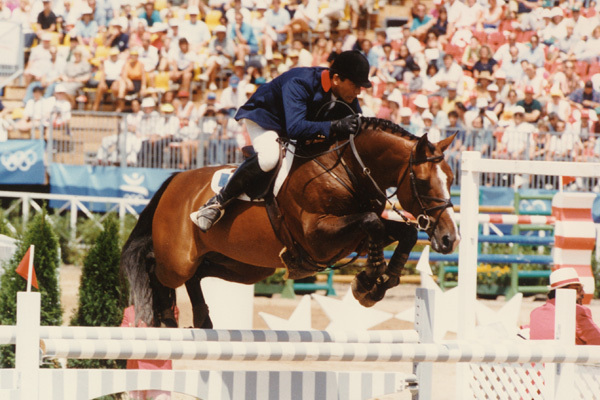 Sire Voltaire is an international legend and in the United States, he has consistently sired top competitors in the jumper and hunter rings and even in the dressage court with the likes of Foltaire and Kingston. Grand-sire Quidam de Revel, enjoyed one of the longest and most prolific sport careers of any stallion, while simultaneously becoming one of the preeminent sires in modern sport horse breeding. The steadfast gentleman with the picture perfect jump, King de Coquerie offers American breeders the opportunity to add two of Europe’s very best sire lines to create the hunter, jumper or Derby Horse for today’s most competitive arenas. And with his caring, workmanlike demeanor under saddle, his unique pedigree provides for the opportunity to infuse coveted French lines without fear of sacrificing rideabilty. King de Coquerie was injured in 2007 and only lightly shown before officially retiring in 2008. King de Coquerie’s sire, Voltaire, was the first of the super star performance stallions to prove to be equally, if not more vital, as a breeding stallion. In the competition arena, he won at the highest level, winning Nations Cup classes with Jos Lansink at Calgary, Stockholm, s’Hertogenbosch, Lanaken, Helsinki, Wiesbaden and Wembley. In 1989 he concluded his career by winning the Grand Prix of Berlin. As a sire, Voltaire has received the Keur and Preferent titles from the KWPN because of his significant contribution to the breed. He has produced over 50 approved sons, with many offspring at Grand Prix level, including Finesse, Altaire, Kahlua, Play It Again, Helios, Electro, Kannan, and Especial. 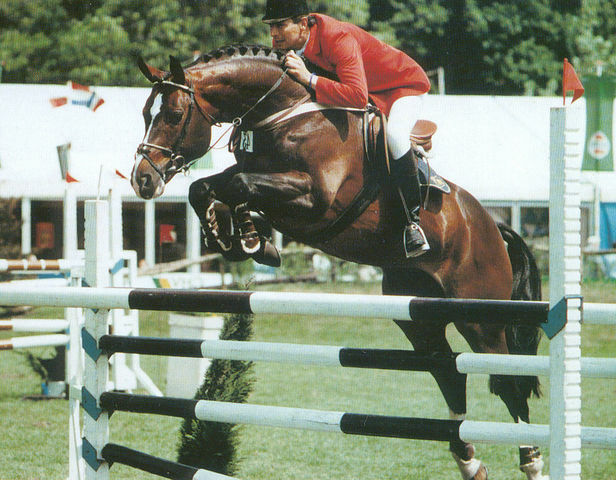 And in the 1996 Olympic Games in Atlanta, he had the most offspring competing of any stallion. Voltaire is a cross of two outstanding bloodlines, Furioso II and Gotthard. 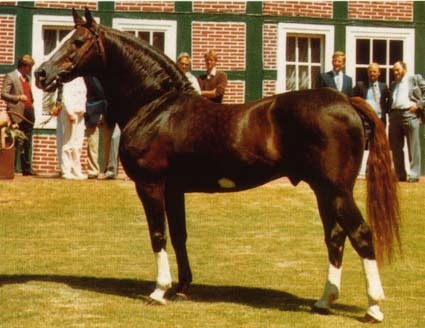 His sire, Furioso II, was the top producing stallion in Germany from 1979-89. 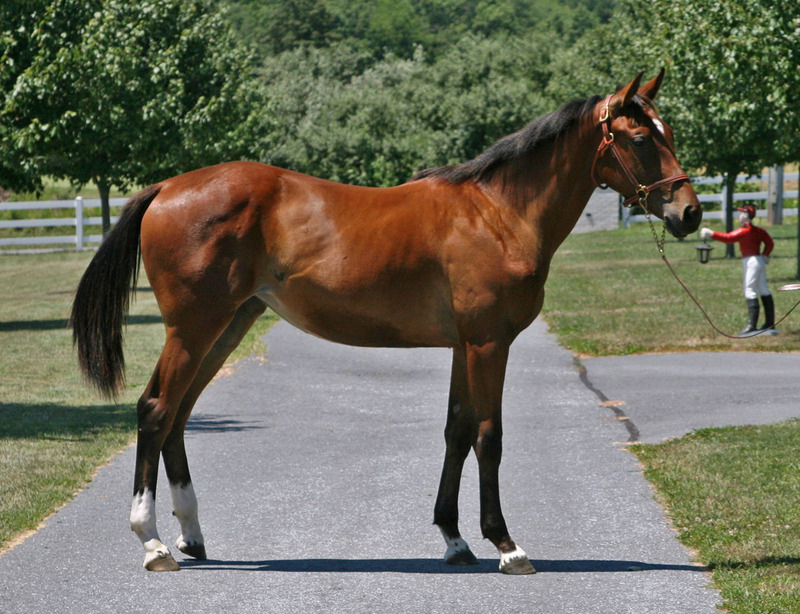 During his lifetime, he produced over 200 state premium mares and at least 80 approved sons, including the all-too- recognizable For Pleasure, Voltaire and Michael Matz’s Olympic mount, Heisman. On the dam side of Voltaire’s pedigree is the legendary Gotthard, whose strength continues on in his sons and grandsons. In the US, Voltaire has been named Hunter Sire of the Year numerous times and is continually at the top of the list. In 2010, several years after his passing, Voltaire is still on the WBFSH’s top jumper sires list with a ranking of 24th overall. His son, Concorde, comes in at number 17. Proving his tremendous value in the production of top level jumpers, Quidam de Revel has consistently been at the top of the World Breeding Federation ranking of jumping sires. In 2010, Quidam de Revel was the #3 stallion in the ranking of jumping sires. His son, Nabab de Reve, finished #7, repeating the top Father-Son performance of 2008 and 2009. King de Coquerie is a tall, long-lined and large framed stallion with excellent bone and good length of leg. 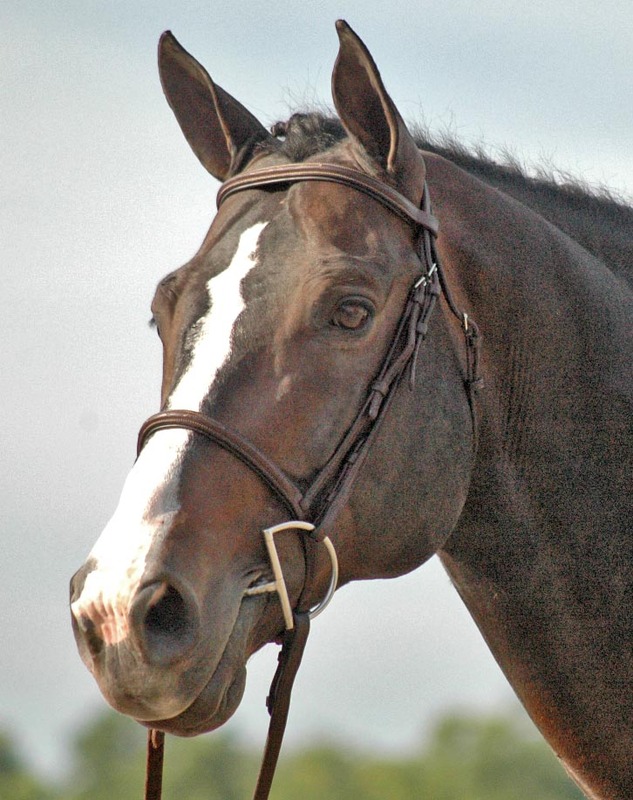 His temperament is excellent and he displays a high degree of trainability and rideability. 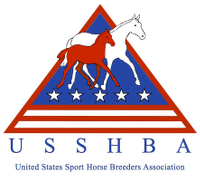 He should cross well on Thoroughbred and lighter to medium-type mares that require additional bone and substance and/or greater power and scope over fences. 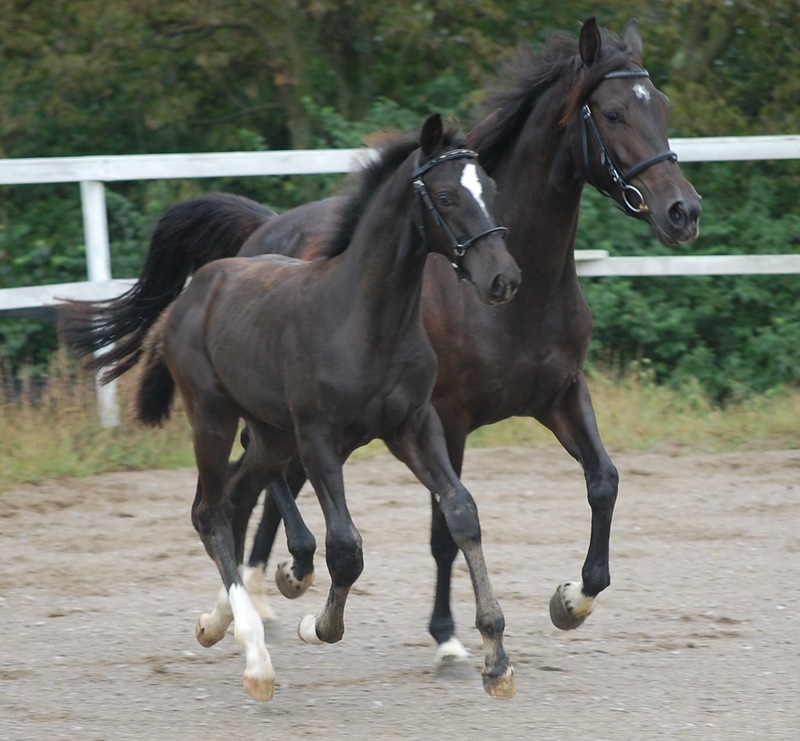 For hunter-type mares, he should be strongly considered for those that require proven scope, improved jumping technique and/or length of stride, without significantly sacrificing movement or type. King de Coquerie began his official duties as a sport horse sire in 2009. His first foals were born in 2009 (result of 2008 test breedings) and 2010 and were well regarded at their inspections receiving premium status.